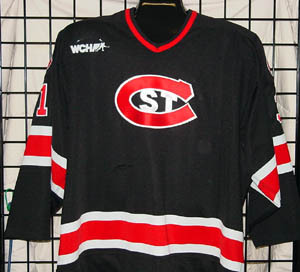 Description: 97/98 game worn St. 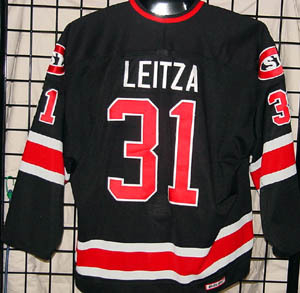 Cloud State University hockey jersey, worn by Brian Leitza, Bauer solid knit road, size 56G, great wear, original nameplate, one of St. Cloud's all-time best goalies.